As a series, Transformers is known for having characters that change from one form to another. This mutability is present even at the initial design phase. When Hot Rod underwent his iconic metamorphosis into Rodimus Prime at the climax of Transformers: The Movie, he gained some bulk and a more mature face but was largely unchanged. Floro Dery's early versions of Hot Rod and Rodimus were a bit more visually distinct, with the latter having parts of his trailer behind his spoiler and beefier arms. While the finalized Rodimus was streamlined to remove most of the changes from Hot Rod, he still had to transform into a very different vehicle mode. For whatever reason, the cartoon eschewed the G1 toy's removable trailer scheme and went for an all-in-one transformation. While this looks cool and allowed for more dynamic action, at the time it was not feasible to replicate this bit of animation trickery in a physical design. Decades after Rodimus made his debut, the Transformers Titanium Series stepped up to the plate to give the Autobot Protector a new toy. With my review of that line's Ultra Magnus, I demonstrated how that figure attempted to replicate the character's transformation sequence from the show with an integrated truck cab. A few waves prior, the same idea was applied to Rodimus and resulted in a toy that draws upon the Autobot's whole design history. The Titanium Series Rodimus Prime is a bulked up rendition of the young leader that stands six inches tall. With diecast metal used for its upper body, forearms, and lower legs, the toy feels as beefy as it looks. I passed on this figure many times because I thought it looked a little strange in photos, but now that I have one in hand, I think it is a pretty cool take on my favorite Transformer. No longer do I see it as being off balance with those blocky limbs, just a rendition that is more in line with artist Don Figueroa's chunky style. Unfortunately, the toy does appear to suffer from the same lack of experience that affected Titanium Ultra Magnus. Like his season 3 buddy, Rodimus looks off from the side with a huge hole right through his torso. If he could compress his chest a bit, it would align Rodimus's arms with his legs and make for a cleaner robot mode. The gap is less noticeable from the back, with the eye being drawn to the signature yellow (well, orange here) spoiler that sits above a clear blue windshield. However, another weird "quirk" shows up, as you may notice how the folded-up tires stick out a bit too far and force Rodimus to have a slight A-stance. One neat aspect of this this figure is how its head design appears to be based on the Studio OX model, which was used in various promotional material for Transformers in Japan. I imagine Don Figueroa is a big fan of these highly detailed versions of the classic characters, so it would make sense he'd try to include as much as he could in his own design for Rodimus Prime. The toy also derives some cues from the then-recent Classics Rodimus, with the Titanium figure emulating the former's engine block collar with similar silver and black detailing around its neck. For accessories, this Rodimus Prime comes with a more compact version of his trademark Photon Eliminator. The gun pegs snugly into either hand. Also included is a display base that was shared among the large Titanium figures. It has a removable name badge with the toy's name and faction symbol. While looking at Rodimus on his fancy base, I get the feeling that Hasbro was biting hard on other collector oriented toy lines such as Soul of Chogokin. Unfortunately, their attempt feels a bit halfhearted, as the toy doesn't connect to the display base and just has to straddle the generic Cybertronian floor. The toy may look like a brick at first glance, but Titanium Rodimus actually has a good range of motion. He is about on par with deluxe Transformer figures from the mid 2000s, with lots of swivels, hinges, and universal joints that allow him to pose heroically. Rodimus's transformation affords him a set of ratcheted hips that make a weird squeak when you move them but will otherwise do a good job of staying in place. With this, you can have the Titanium toy pull off some cool walking poses. And he can look downright dynamic in the right pose. This is in spite of his curious lack of bicep swivels, a deficiency that can be sorta faked with some clever use of his multiple shoulder joints and forearm swivel. He also can point across the battlefield in a commanding manner much better than the SCF Rodimus. Rodimus can be coaxed into kneeling down, but you do have to flip out the trailer panels on the backs of his legs to do so. This is also where an otherwise unused "tilting" joint in his upper body can be utilized if you leave Rodimus's chest disconnected from his waist. It's a weird bit of engineering that doesn't serve any purpose other than some makeshift articulation. Here is the Titanium figure with its closest relative, the Choro-Q Robo Rodimus Convoy. These two represent the only official all-in-one transforming G1 style Rodimus Prime toys. The actual G1 Rodimus famously had a removable trailer, which left the main robot looking cool but rather simplistic. When placed next to the Titanium figure, one can see how the original toy's details translated into the Studio Ox model, which were then carried over to the newer toy. And here is a pair of season 3 Autobot buddies. Oddly enough, the Rodimus ended up being a bit larger than Ultra Magnus, and is in many ways a nicer figure. I definitely appreciate what both toys were trying to do by sticking closer to the animation design, it's just that Ultra Magnus doesn't come together all that well in terms of execution. To start transforming Rodimus into futuristic truck mode, you rotate his forearm so all the silver exhaust pipes are lined up with the ones on the shoulders. Next, push in both his fists and forearms to make the sides of the truck's front. His head is then rotated around 180 degrees for vehicle mode. After that, his windshield and spoiler flip up to form the car-like front of Rodimus's truck mode. The spoiler itself folds into a kind of shark fin thanks to multiple hinges. His upper body folds up in the usual way, with Rodimus's arms plugging into the windshield to create the cab of this high-tech Citroen Tissier. Also note the big metal pin in the middle of the orange sliding joint. This is the odd design decision that affords the toy the torso tilt I mentioned earlier. Rodimus's waist is rotated around so his lower legs can become the boxy trailer section. Panels unfold from his calves and you bring Rodimus's knees up to where his arms now reside. His little black toe flaps are flipped down so they can sorta follow the lines of the truck. The front of the truck slides back and tabs into the trailer to complete the vehicle mode. While the Titanium figure's vehicle mode is chunkier than I'm used to, this is undoubtedly the famous Space Winnebago re-imagined for the aughts. Unlike the Ultra Magnus of the same line, Rodimus comes together very neatly in truck mode with all the heavy diecast parts now concentrated into a small battering ram. The toy is also quite solid looking from almost every angle, even though the back of the trailer is just made from Rodimus's legs. From below, the arrangement of the robot mode's parts is fairly clear. I feel like this demonstrates the pretty smart engineering that went into this Rodimus, as both modes are distinct, but one still leads into the other. Also, check out how the Photon Eliminator can plug into the back of the trailer for storage. It's a minor gimmick that does a lot to make the toy feel more complete. However, there is still a visible gap between the front and rear of the vehicle. This is one place I think the toy could have benefited from a more experienced design team. The guys at Galoob certainly went above and beyond what they must have been accustomed to, but there's always room for improvement. And as much as I do like this toy, what they did with Rodimus's spoiler is a just plain odd. If it actually became a solid part of the truck's wind deflector, I'd be more into the idea of how its used here. However, being folded up into a tiny fin between two big chunky blocks makes it look out of place. Also, I feel like a good Rodimus Prime vehicle needs that big ol' spoiler embedded into the front of the trailer to be true to the character. Here, it is sort of represented by the remaining unfolded part of his robot mode wings. And now for a small gathering of Winnebagos. In the future year of 2005, recreational vehicles will be sporty and awesome. The Titanium Ultra Magnus looks pretty good next to Rodimus. It's strange to think these two came out the same year, as Rodimus feels like a far more refined toy than his second-in-command. "Let this mark the end of the diecast wars as we march forward to a new age of peace and articulation... 'Til all are fun! " Overall, I was quite pleasantly surprised by the Titanium Rodimus Prime. I've always been intrigued by the idea of an all-in-one transformable Space Winnebago, but everything I saw didn't sell me on the concept. Now that I have one of my own, I'm really happy with what turned out to be a fun, well-designed Rodimus toy. It makes me really wish Hasbro had found a way to reuse this concept in a another toy, as even this figure suffers from some of the Titanium Series's common missteps. It's like a Classics Transformer that just happened to be part of another toy line. 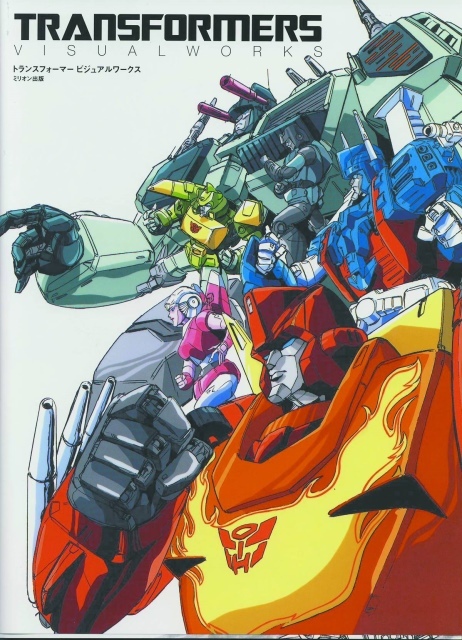 Still, Rodimus takes his rightful place as the real leader of this short-lived experiment in early collector oriented Transformers. Interesting. I could never think of anything to compare his alt mode too besides a Winnebago, and that's all I've ever heard or read anyone else pointing at. But the Cirtroen Tissier Loadrunner definitely fits the bill. I'll remember that. He's not perfect, but definitely satisfying. Enough that I'd like to get the Menasor repaint some day. I'd first heard of the Citroen Tissier when I saw Seibertron.com promoting a car show that happened to have one, and they said it was the inspiration for Rodimus's vehicle mode. It's probably the most apt real world counterpart. I know some other fans have suggested he's sort of like the GMC Bison Bullet concept truck. I just looked the Bison Bullet up, and wow, I can definitely see that too. Of course, what will really blow me away is if anyone ever actually builds a G1 Rodimus replica out of one of these or from scratch. I imagine sooner or later some fan is going to have the means and will to pull it off.